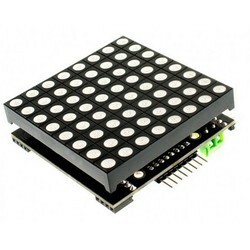 Our product range includes a wide range of psp joy stick module, arduino vga camera module, dtmf deocoder module, arduino photo resistor detection photosensitive light sensor, arduino lm393 motor speed measuring sensor module and arduino dot matrix module. blocks and 2.54mmpin interface leads. up to 5V; press the arrow in the opposite direction, reducing the voltage readout , a minimum of 0V. OV7670 image sensor, small size, low voltage, providing single-chip VGA camera and image processor for all functions. Through the SCCB bus control, you can output the entire frame, sub-sampling window, etc. all take the resolution of 8 bits of data. The product images up to VGA 30 frames / sec. Users can fully control the image quality, data format and transmission. Process all image processing functions including gamma curves, white balance, saturation, color and so can SCCB interface programming. OmmiVision unique image sensor technology, sensor applications, by reducing or eliminating the optical or electrical defects such as fixed pattern noise, prop tail, floating powder, which enhances image quality, get a clear and stable color image. 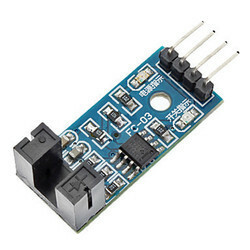 Optical size of 1 / 6 "
DTMF Deocoder: Power Supply: 5V DC or 7 to 12V AC/DC Input AUX Cable Output: 4 Bit DTMF Logic TTL Output and LED Indication Decodes DTMF audio signal to 4 bit binary TTL level output with LED indication. 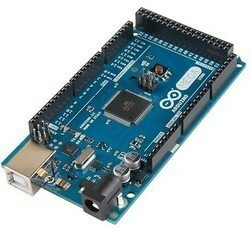 Suitable for use with Arduino, 8051, PIC and any other microcontroller applications. 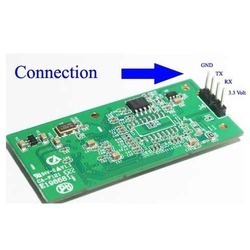 Applications · Remote Control systems · Caller ID applications · FM receiver based remote control · Remote control using Mobile phone Connect regulated +5V DC supply for operation of board. Outputs D1-4 and DV are active high output at 5V level. If any LED is on means that output is at high level. 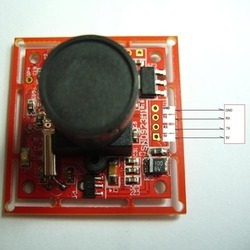 VT LED blinks once a new DTMF tone is received. The binary data appears at D1 to D4. 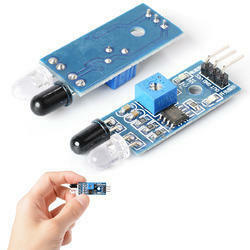 signal can be from an audio source like microphone amplifier, FM radio receiver, wired phone line. Please note when connecting land line phone signal, do not connect ground wire of board to phone line directly. Use a 100nF capacitor in series to phone line wires at ground. MT8870 based,3.5 mm auxillary cable included. Decode DTMF to 4 bit data. 3.5 mm Jack,3.5 mm auxillary cable included. Application:Widely used in motor speed detection, pulse count, the position limit, etc. Specification: The DO output interface can be directly connected to a micro-controller IO port, if there is a block detection sensor, such as the speed of the motor encoder can detect. Module with input and output interfaces. 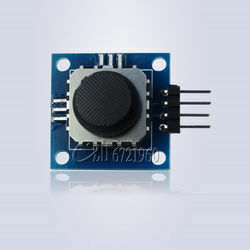 Module size: 5 cm long X 3.2 cm wide X 1.5 cm high. 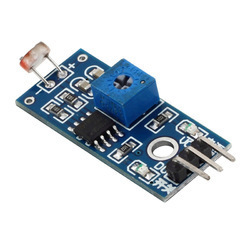 Supply voltage: 5V the backlight and contrast is adjusted by potentiometer Come with 2 IIC interface, which can be connected by Dupont Line or IIC dedicated cable Compatible for 1602 LCD. 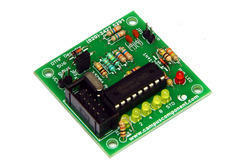 I2C Address: 0X20~0X27 (the original address is 0X20,you can change it yourself). Come with 2 IIC interface, which can be connected by Dupont Line or IIC dedicated cable. Size: 1.8cm x 2.6cm . Being one of the most prestigious manufacturers and suppliers in the industry, we offer UART to Ethernet Module(Universal Asynchronous Receiver/Transmitter) to our precious customers. These are the integrated serials to Ethernet modules like TCP server, UDP and TCP client. Designed by experts in compliance with the highest technological standards, these modules are highly appreciated by the customers. We make these modules available at market leading prices. 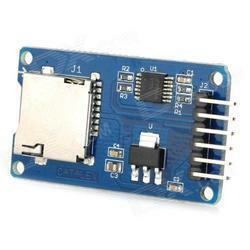 It is an integrated serial to Ethernet module. It has power supply, rj-45 and db9/m,etc. It is easier to use. 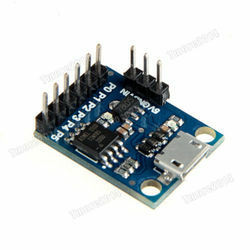 Customers can avail from us JPEG Color Camera Serial UART Interface which is a new generation serial port camera module. This device captures the high resolution pictures with the aid of a serial port. 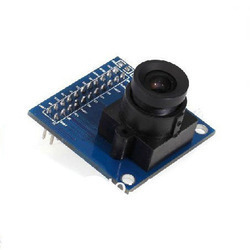 The modular designing of these cameras helps in processing JPEF images through UART which can be easily integrated into the existing designs. 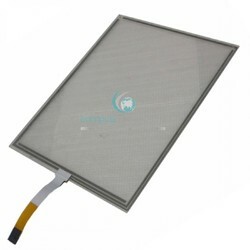 We are among the eminent manufacturers and suppliers of Touchscreen Module in the industry. The offered modules have been designed with the application of latest technology and deliver optimum performance to the customers. Premium quality materials are procured from established vendors for manufacturing these modules. We subject these modules to tests based on multiple parameters to ensure that the desired quality standards are maintained. 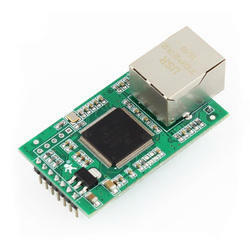 We are among the renowned names in the industry, bringing forth UART to Wi Fi Module for our priceless customers. Our experts have developed these modules after a thorough research and development activities. Manufactured using optimum quality materials and sophisticated technology, these modules are durable and are in compliance with the prevailing industry standards. These modules support automatic and manual networking modes.